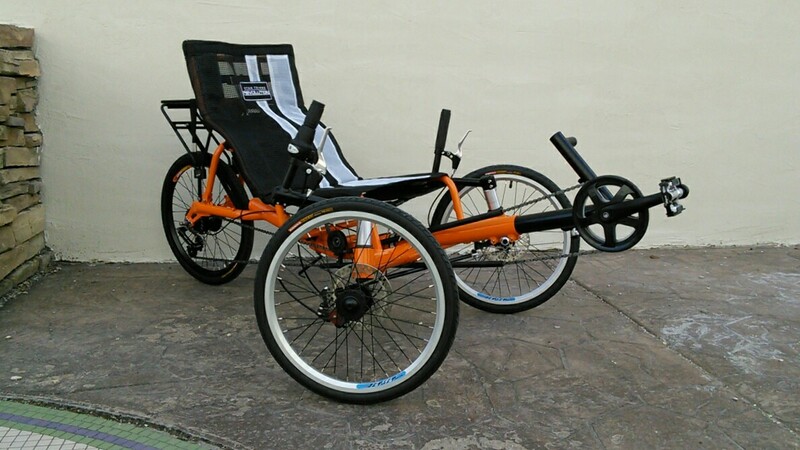 Do you want a trike that is fun to ride, has a high seat, and is super comfortable? What if it folded too? 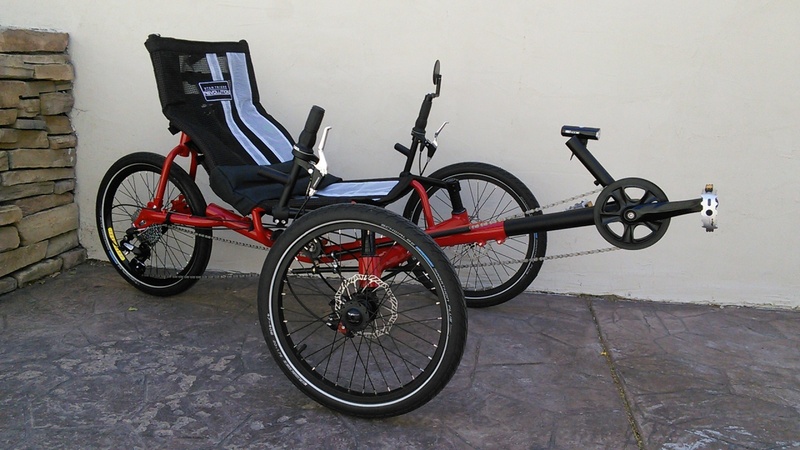 The Revolution Getaway adult recumbent trike features a wide seat that sits up higher than most tadpole trikes. 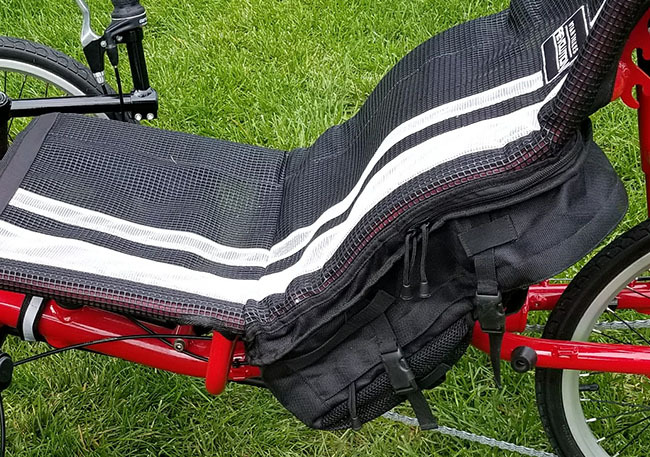 Seat and boom are adjustable and the Getaway easily folds so you can take it with you. Available in several gear combinations. 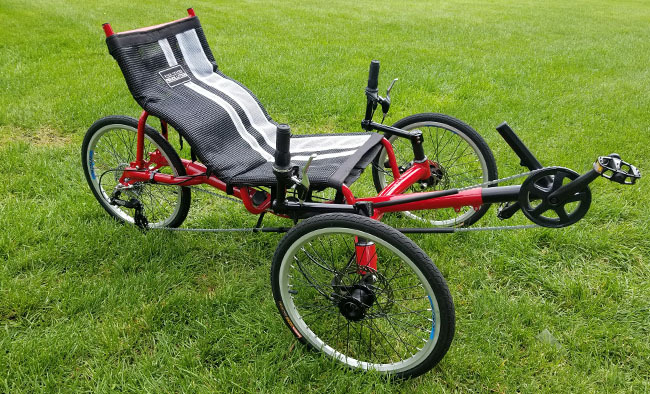 We've been selling and building custom trikes for a long time and for years our customers have been asking for a tadpole trike with a higher seat that is wider. 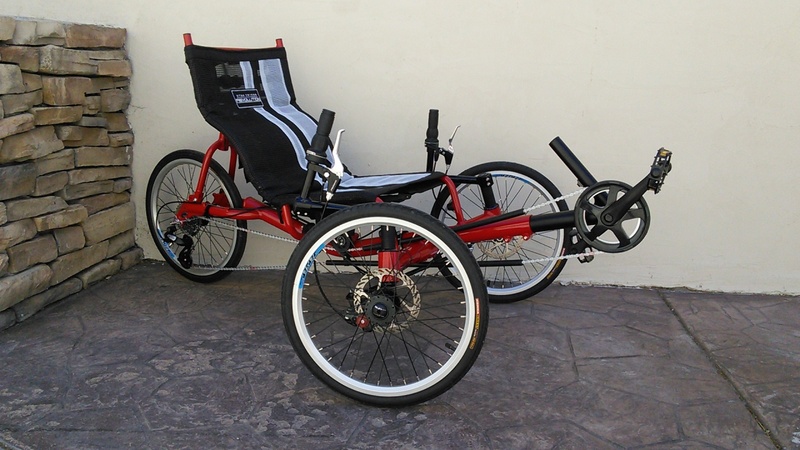 We designed the Revolution Getaway with a seat height of 17 inches, making it easy to get on and off the trike. The seat width is 17 inches. Starting with the seat, we added multiple points of adjustment and added a quick release to facilitate easy folding. Choose from 40 total seat positions to get the seat at the angle that's perfect for you. You can sit as upright or reclined as you want. The Revolution Getaway has adjustable handlebars whether you choose the direct steering or underseat linkage steering. 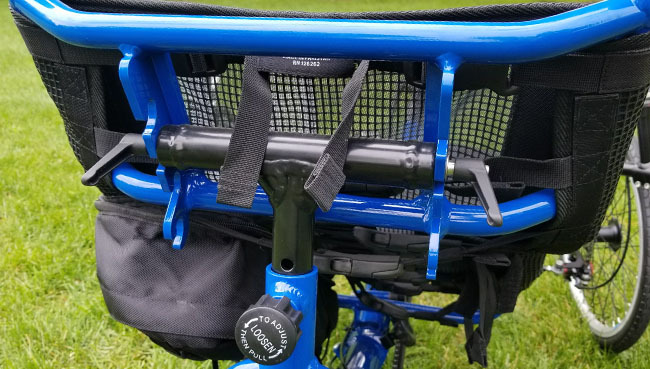 The direct steering option allows for the most adjustment as the handlebars can be moved in/out, up/down, forward/backwards, and even tilted. 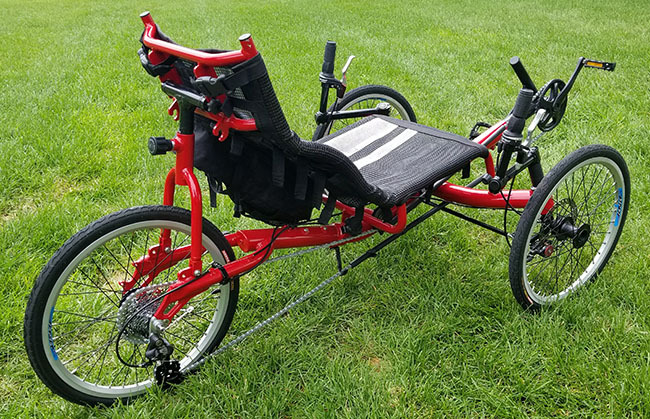 With the default gearing configuration the Revolution Getaway has a full range of gears all built into the rear wheel. 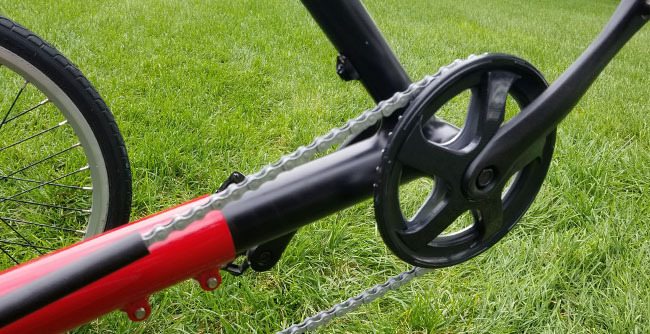 This means that only one sprocket is needed in the front and the boom can be adjusted without needing a chain adjuster. We can build your Revolution Getaway with pretty much any gear combination that you want. The default gearing uses a combination of rear derailleur and an internally geared 3-speed hub. This setup will be enough for 90% of riders. If you want more gearing we've got you covered. The stock boom on the Revolution Getaway is "Triple Ready" with a derailleur post. We also off internal gearing including Patterson, Schlumpf, and Efneo. 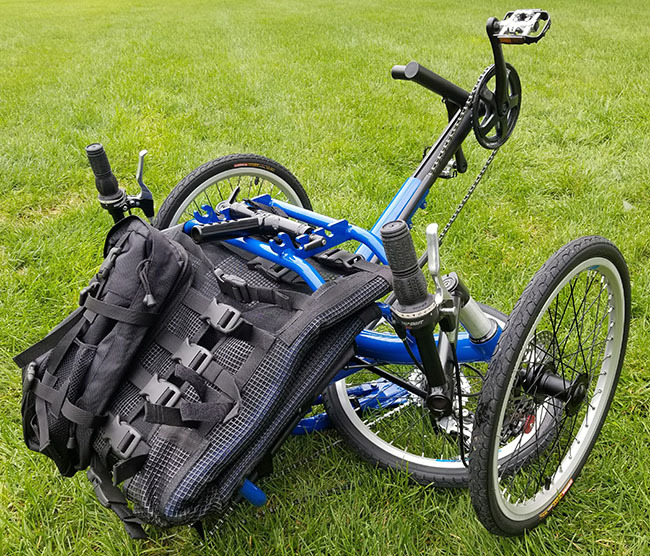 The Revolution Getaway is easy to fold and take with you. 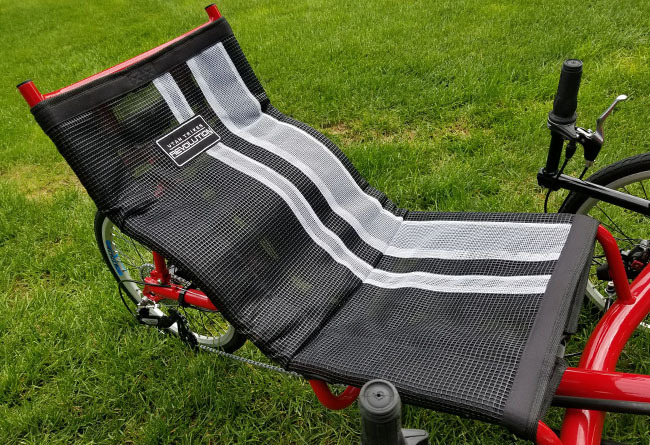 The Revolution Getaway seat mesh features an integrated cargo bag. Not only does this bag have tons of storage it also has an insulated water bladder pouch which will hot up to 3L of water!